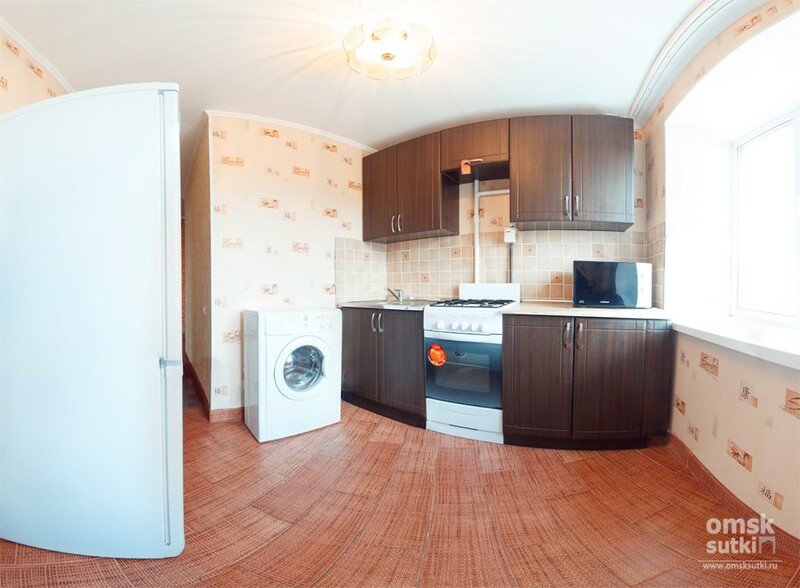 The interior of this one-room apartments in Omsk we can describe as convenience and high quality, accuracy and durability. 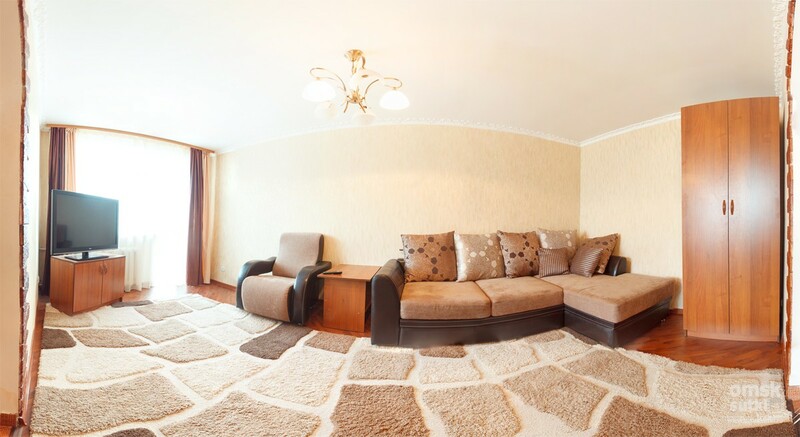 There are a fluffy carpet and warm chocolate tones in the interior which make the living room look and be comfortable. There are wide screen TV, a spacious closet and access to the Internet which are responsible for the functional equipment of the apartment. The kitchen is equipped with modern appliances. 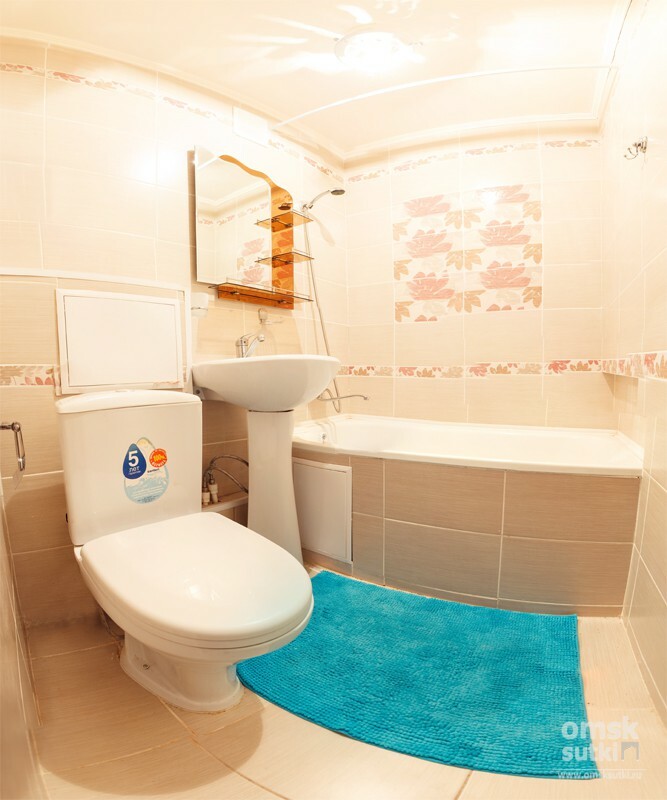 Bathroom is very clean. Booking with us you get a wide range of additional services including transfer from and to the appartment, and the necessary documentation.